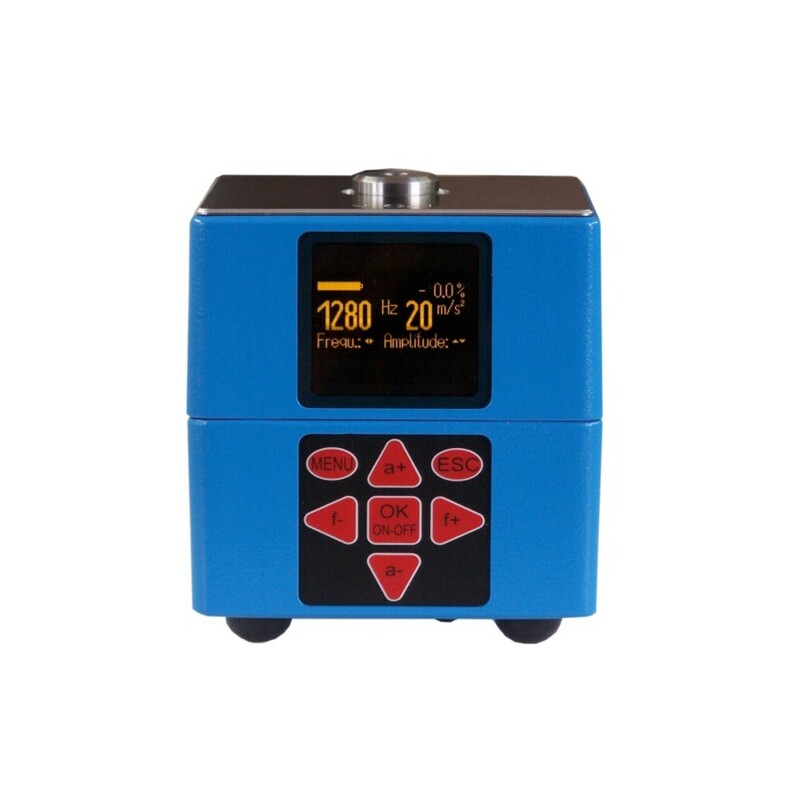 The CV211 CESVA multifrequency calibrator for vibration with various vibration magnitudes, is a precision and user-friendly instrument that allows you to verify vibrometers quickly and efficiently. The CV211 allows verifying vibrometers generating five vibration magnitudes: 1 m/s2, 2 m/s2, 5 m/s2, 10 m/s2 and 20 m/s2 (RMS). And has 7 vibration frequencies: 15'915 Hz, 40 Hz, 80 Hz, 159'15 Hz, 320 Hz, 640 Hz and 1.280 Hz.